You are here: Home » POLITICS » Why has signing of Protocol on the Determination of the Border Point between BiH, Montenegro and Serbia cancelled? 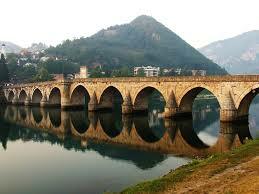 Why has signing of Protocol on the Determination of the Border Point between BiH, Montenegro and Serbia cancelled? The signing of the Protocol on the Determination of the Border Point between Bosnia and Herzegovina, Montenegro and the Republic of Serbia, announced today, has been canceled due to unforeseen circumstances and the inability of all signatories to attend this event. As announced by the BiH Ministry of Civil Affairs, a new term for signing this protocol will be established later. Among many problems which burden relations between republics of former Yugoslavia, one of the main issues are numerous border disputes which are a consequence of the fact that Yugoslavia, while having strictly defined borders with other countries, did not have precisely marked or defined borders among its constituent parts.